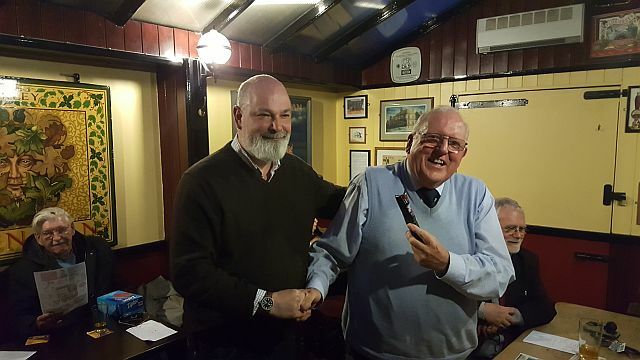 A stunning selection of prizes, mostly won by the secretary. 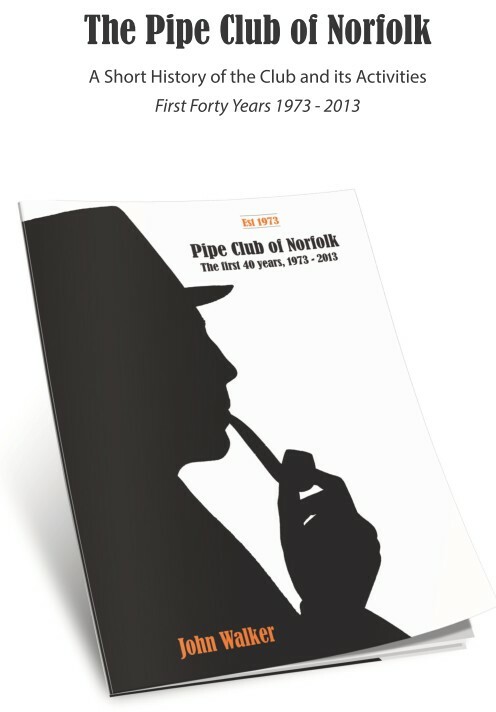 The meeting also saw the launch of the club's book - Pipe Club of Norfolk The first 40 years 1973 - 2013 which was well received by all members. 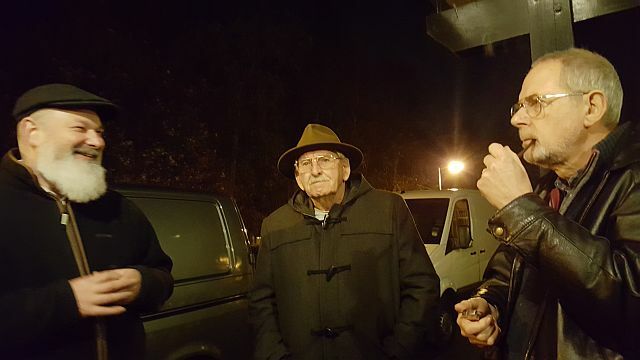 It was nice to see Reg Walker and Don Warman again. Unfortunately, the secretary was so busy that he forgot to take any photos of the event. A marvellous selection of very tasty cheeses was acquired by the secretary. 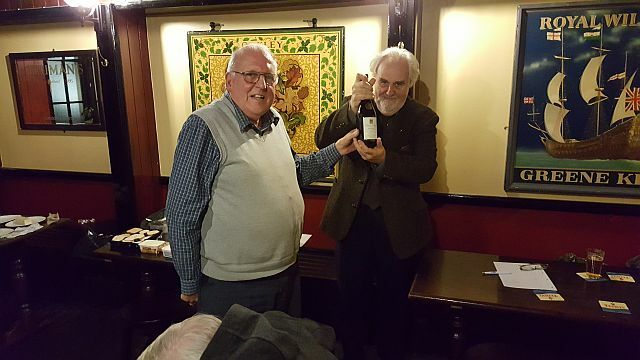 Many thanks to John Eason for doing an excellent quiz and well done to Keith Coleman for winning. 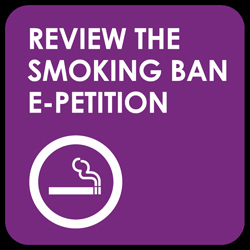 A small turnout for various reasons. Well done to Tony for winning a rather challenging competition. 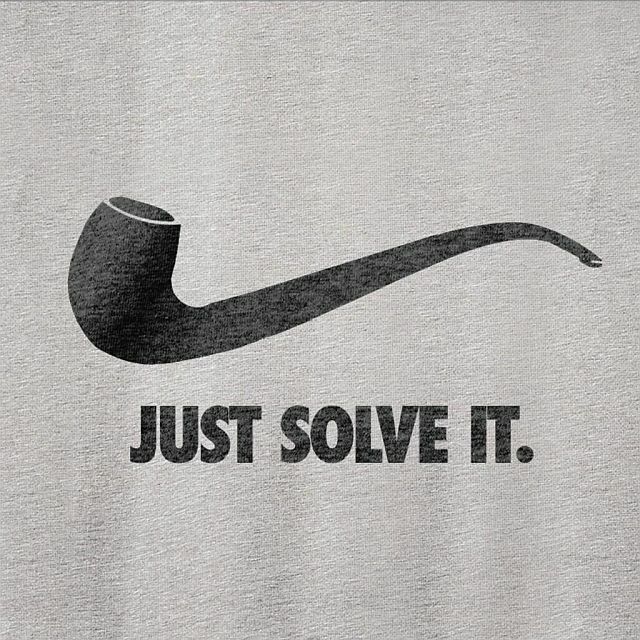 Dark plug tobacco is not really suitable for smoking in a clay pipe competition as it is too thick cut. 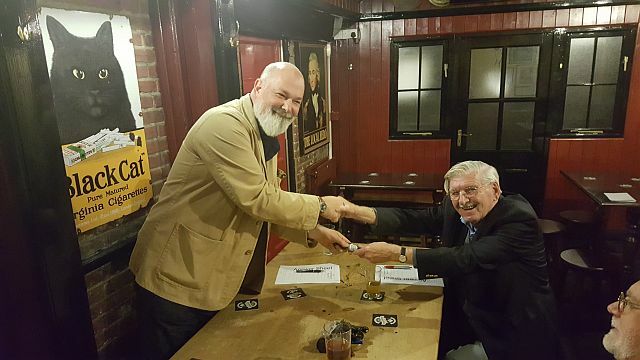 Many thanks to Phil Smith who came all the way from Sheringham to act as quizmaster and well done to Len Ellis for winning. 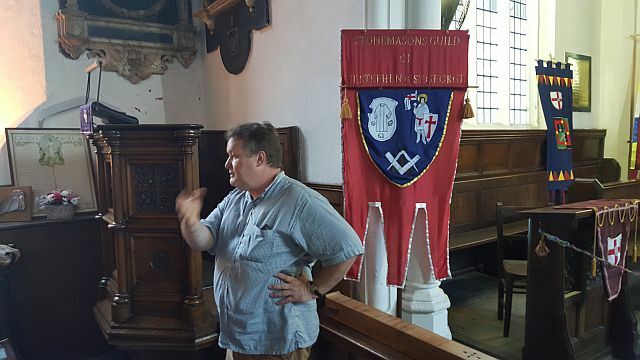 A very fascinating evening at St Clement's church, Colegate, Norwich for a talk about stonemasonry given by Master Mason, international Guild Master Dr. Stephen L'Normand and Colin Howey, Clerk to the Guild of St Stephen & St George. 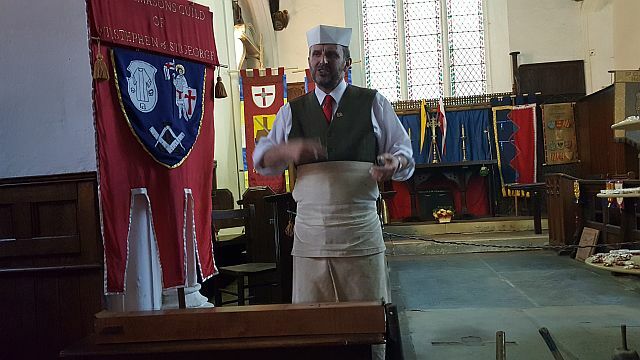 David Woollard-Kingston suggested that we visit the guild after he went on a one-day stonemasons' course there. Many thanks to Stephen and Colin for inviting us. I recommend that you look at the link below to find out more about the guild. Thence to the Ribs of Beef for a drink to round off an excellent evening. More about the Guild of St Stephen and St George. Another outstanding win by the odds-on favourite David Woollard-Kingston at the Fat Cat and Canary. 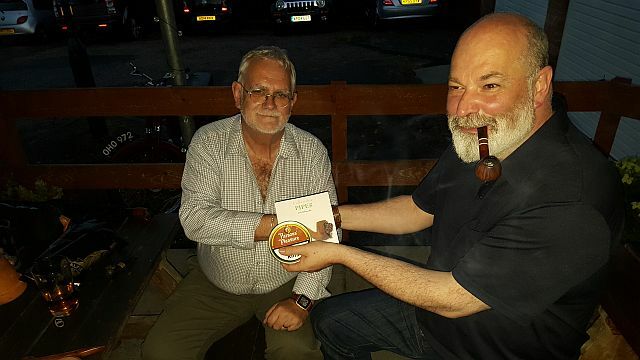 David was presented with the usual tin of tobacco plus a book about pipes very kindly donated by David Bates. 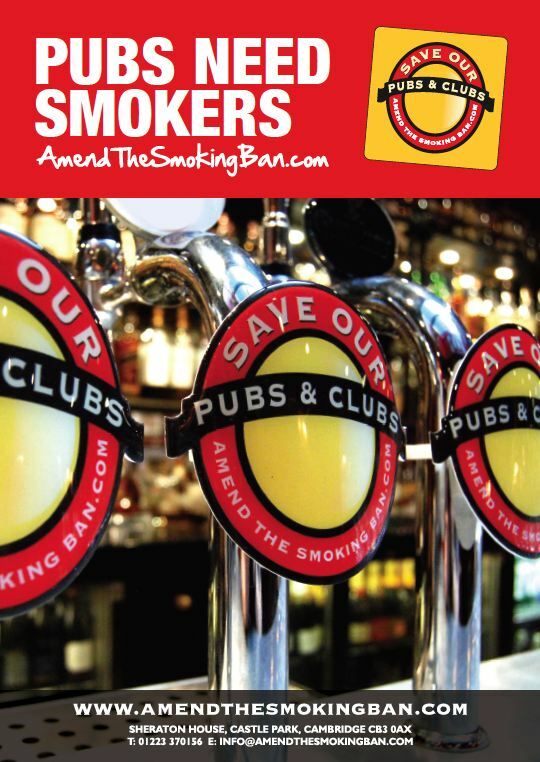 Off to Rollesby for the second club visit to sample some of the excellent tobaccoes available. 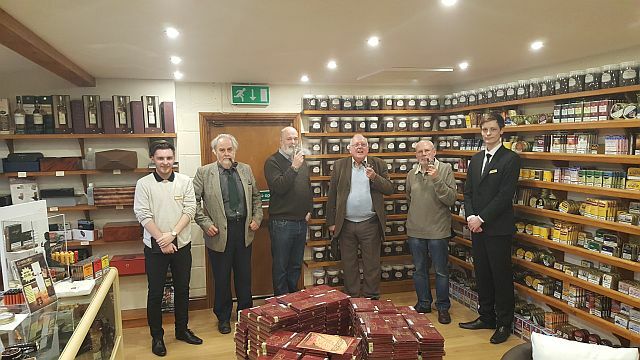 Very pleased with our usual warm greeting from the lads who work there and came away with a nice selection of tobaccoes and pipes. 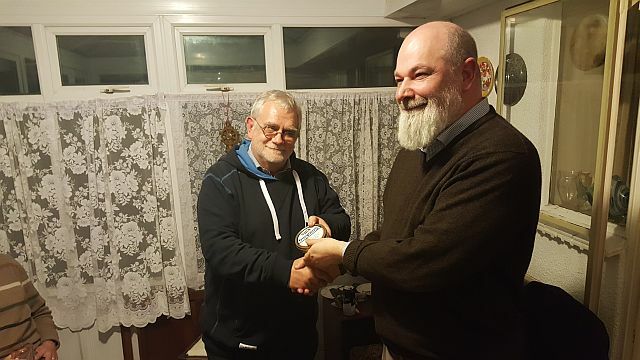 The club was delighted to welcome new members David Bates and David Taylor from the west Midlands. 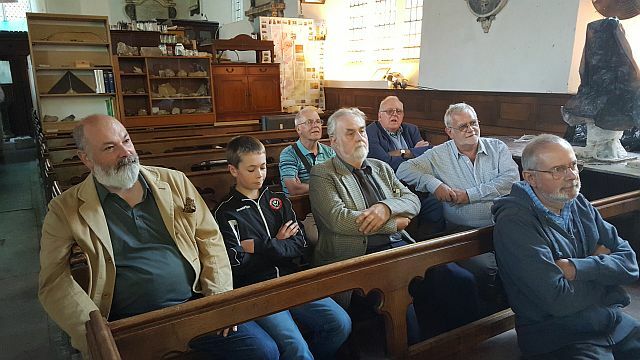 We hope that they will be able to attend a Norfolk meeting one day. 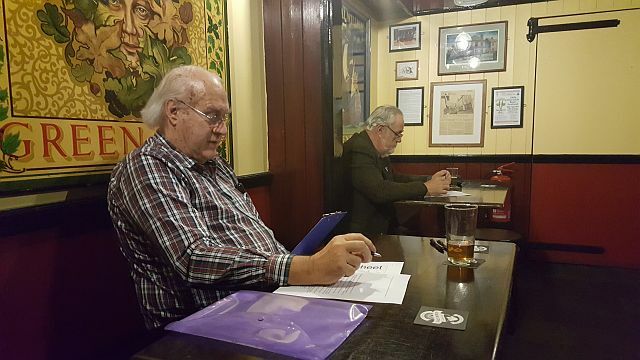 The AGM was eventually held at the Fat Cat. 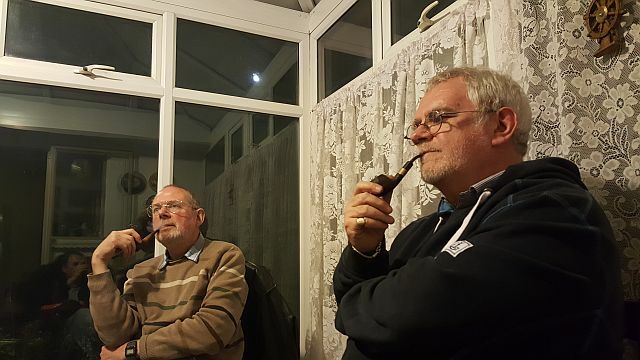 Chairman Larner gave a short review of the previous year's activities and the secretary went into more detail. The treasurer reported that the club funds are in sound order. The officers were re-elected. There followed a picture quiz by the secretary which was won by Mr Eason. 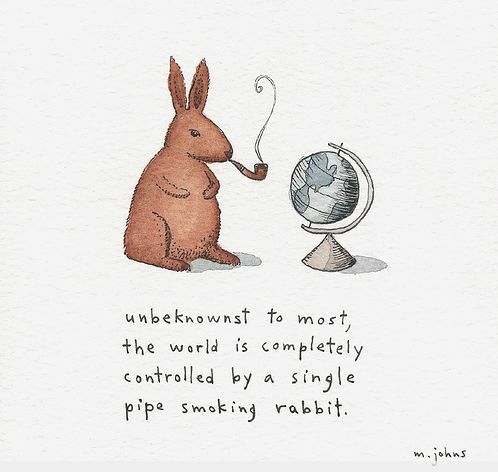 No surprises there! 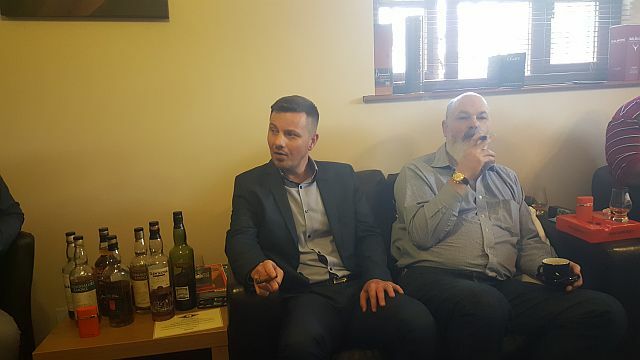 Tony Larner and the secretary made their way to Rollesby for a cigar and whisky sampling event and very nice it was too. 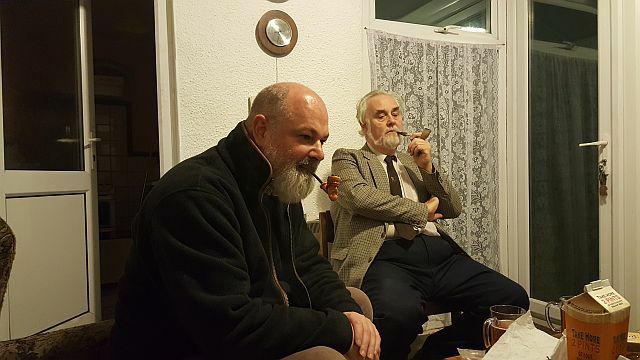 We were given two cigars and half a dozen different whiskies to sample which we enjoyed in the company of some USAF servicemen who were fascinating to meet. Another win by the odds-on favourite David Woollard-Kingston. Thanks to Keith and Janet Coleman for letting us use their conservatory again. 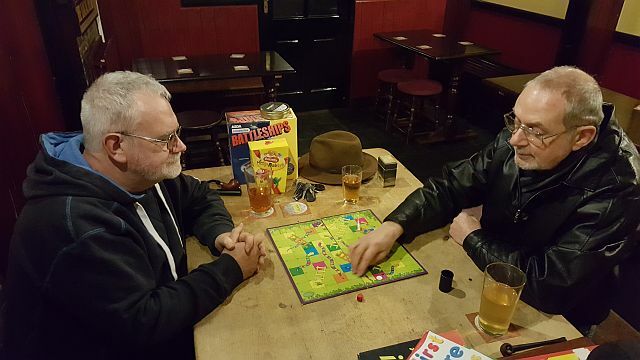 The AGM had to be postponed due to events beyond our control so we just has a social evening at the Fat Cat. 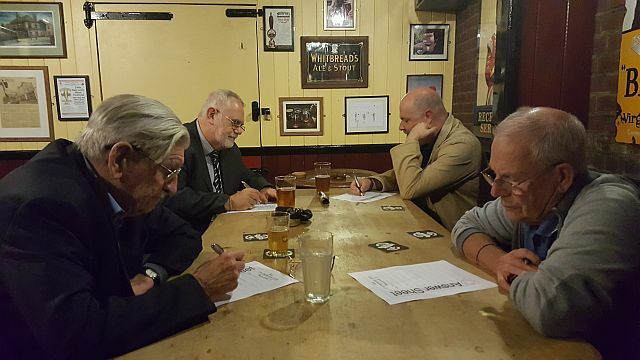 A rather poor turnout due to various other obligations so we just had a social evening. It was very nice to see John Elvin again and hope that he becomes a regular visitor to our meetings.